Tuesday March 12, 201911:00 am | Yellow Medicine County, MN. US. Announcement:Information contained herein is presented on behalf of the seller. Pifer's Auction & Realty, agent for the seller, cannot guarantee the information to be correct or assume the liabilities for errors and omissions. All lines drawn on maps are approximate. Buyers should verify the information to their own satisfaction. Any announcements made from the auction block on day of auction will take precedence over any matter of print and will be final. Tuesday, March 12, 2019 - 11:00 a.m.
Click here for a video of the property! Auction Note: This is remarkable cropland in Wergeland Township in Yellow Medicine County, Minnesota with Soil Productivity Indexes (SPI) in the 90s! This is some of the most productive land in southwestern Minnesota dominated by Amiret Loam and Canisteo Clay Loam soils. There are 219 +/-cropland acres on this farm and an 11-acre farmstead. This property was planted to soybeans and corn in 2018 and is available in 2019. Contact: Kevin Pifer at 701.238.5810 or email kpifer@pifers.com or call Pifer's Auction & Realty at 877.700.4099 for a complete catalog. Driving Directions: From Porter, MN go 3.5 miles northwest on 240th St. This will bring you to the middle of Parcels 1 and 2. 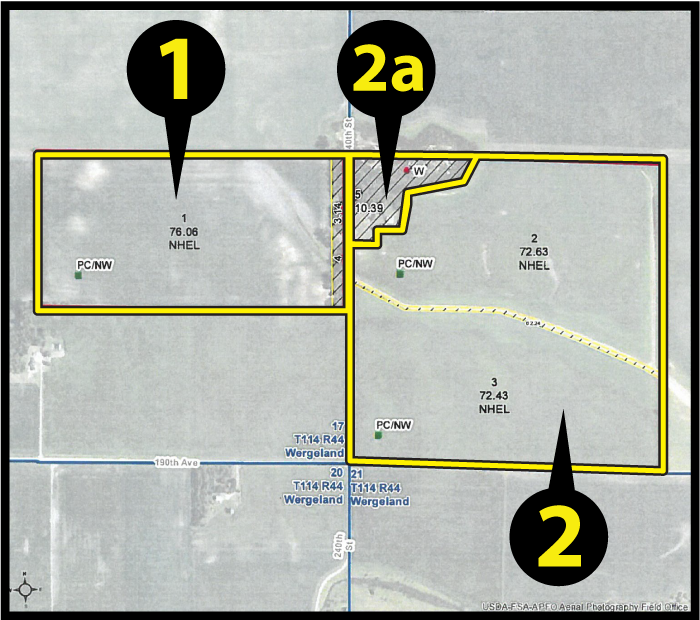 This parcel features 76.06 +/- acres of cropland with an SPI of 93.7! This parcel features a beautiful 11 +/- acre farmstead with 5 bedrooms, 2 bathrooms, and multiple outbuildings. This parcel features 145.06 +/- acres of cropland with an SPI of 96.3! This sale is managed by Pifer's Auction Company, Kevin Pifer, MN #14-106. 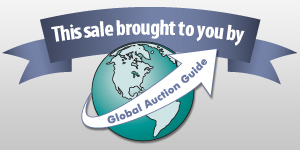 All statements made the day of the auction take precedence over all printed materials. The seller reserves the right to reject or accept any and all bids.